the K5P group is doing a great job. My first ham license showed up in the mail on March 6, 1979 and I've been DXing and contesting ever since, along the way achieving DXCC with all current entities in the log, as well as 5BWAZ. I grew up in (W0) MN, lived for a long time in (W9) WI, and have now lived in (W8) OH for the past 16 years. 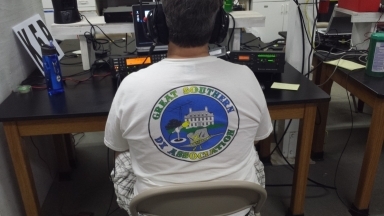 I'm a member of the ARRL, NCDXF, INDEXA, CDXC, Southwest Ohio DX Association, Mad River Radio Club, and Society of Midwest Contesters along with the K5GDX Great Southern DX Club. Past DX activities include: K9W, NH8S, C91NW, A25NW, 3DA0NW, YN2NW, VK9NW, P40NW ZF2JT, T88MR, V47NZ, and numerous **/ ops from places like FG, FM, FS, KH2, KH6, KP2, KP4, PJ2, PJ7, TI5, TG9, VP2V, VP5 as well as contest operations from HC8N, 6D2X, PJ2T, P40L, KH7R, 6Y1V, PJ8Z, FG5BG, FS5PL, HT2N, TI5N, NP2B, NP4Z. 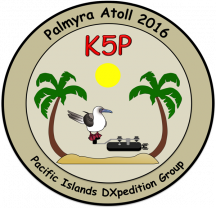 Looking forward to another exciting Pacific DXpedition from Palmyra Atoll!